It had been two year’s since Graeme McDowell had won and the Northern Irishman did it in style as he finished three shots clear of Keegan Bradley to win the World Golf Challenge in California. McDowell finished with a four-round total of 17-under at Sherwood Country Club in Thousand Oaks against a star studded invite only 18-player field hosted by Tiger Woods. Europe’s Ryder Cup hero began the final day with a two stroke lead over Bradley and was 1-under at the turn, but strengthened his score with four more birdies that earned McDowell final round 68 following opening rounds of 69-66-68. Bo Van Pelt was third and Woods, the defending champion, tied Jim Furyk and Rickie Fowler for fourth place at 9-under. 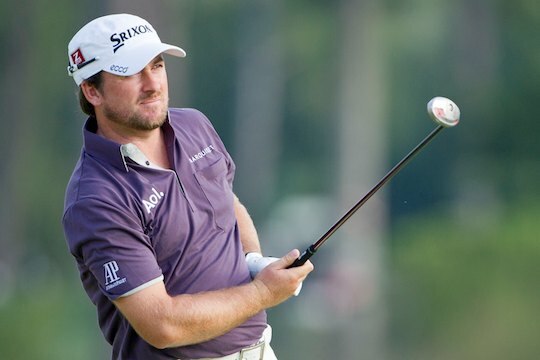 McDowell, the 2010 US Open winner, received US$1.2 million for his first victory in two years. The 33-year-old also won the World Challenge in 2010 when he rallied from a four-shot final-round deficit to beat Woods in a playoff. McDowell did not get a win on Tour in 2012. His best finish on the PGA Tour, was a second place finish at Bay Hill, and on the European Tour, a fifth place finish at the Open Championship. It has been a year of frustration. He played in the final group of the US Open and British Open but came up short on both occasions. Jason Day, one of three internationals in the field, finished at 3-under-par in a tie for 15th.